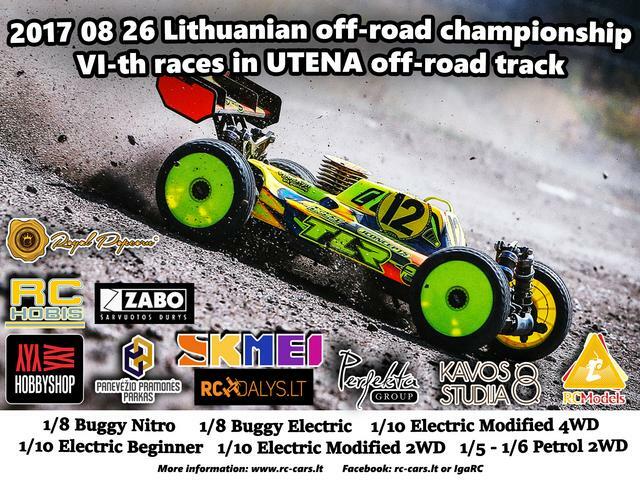 On 2017 08 26 „RC-CARS“ Association invites you to the VI-th races of the Lithuania Off-road Championship 2017. Food: Food will be available to buy during the race. 2017 08 26 Lithuanian off-road races are moved to Panevėžys AURIDA track, as the wind crushed the tree which break electricity. So the races will be organized in AURIDA track where we will have a roof which safe us from the rain. Link to youtube where you will see the video from last races in Lithuania.